South Korea will need a budget of about 3.9 trillion won ($3.44 billion) to jointly host an envisioned 2032 Summer Olympics with North Korea, an estimate by the Seoul city government showed Tuesday. The projection came as the Seoul metropolitan government is pushing to form a joint bid with Pyongyang for the Olympic games. SEOUL, Dec. 18 (Yonhap) -- South Korea will need a budget of about 3.9 trillion won (US$3.44 billion) to jointly host an envisioned 2032 Summer Olympics with North Korea, an estimate by the Seoul city government showed Tuesday. The projection came as the Seoul metropolitan government is pushing to form a joint bid with Pyongyang for the Olympic games. The plan was part of the agreement made between President Moon Jae-in and North Korean leader Kim Jong-un to boost bilateral exchanges in their third summit on Sept. 19. The Seoul city government, led by liberal Mayor Park Won-soon, has pledged to hold the opening and closing ceremonies in Seoul and Pyongyang concurrently by using the South`s pioneering IT technologies. The calculation was commissioned by multiple private institutions and it excludes Pyongyang`s share, it said. The city government said it has submitted the budget bill to the Seoul Metropolitan Council and it will be put to a vote on Thursday. The city has already lodged a formal application with the Korean Sport & Olympic Committee. The budget estimate largely includes the costs for holding 33 events during the 15-day world sports festival in the two capital cities of the divided Koreas. But it`s likely the expenses will be much higher since the calculation is based on operating costs like ceremonies and stadium repairs and excludes infrastructure such as roads and railways. In the case of the PyongChang Winter Olympic Games hosted by South Korea early this year, the total budget came to 14 trillion won. Of that, about 12 trillion won was spent on building infrastructure. 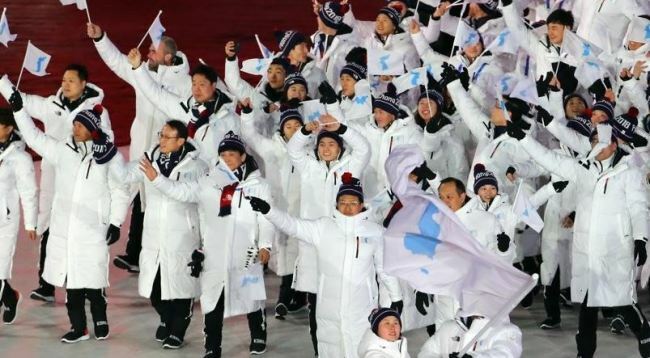 Seoul and Pyongyang are expected to hold talks with the International Olympics Committee (IOC) on the plan in February next year, according to the city government. The plan was part of the agreement made between President Moon Jae-in and North Korean leader Kim Jong-un to boost bilateral exchanges in their third summit on Sept. 19. The Seoul city government, led by liberal Mayor Park Won-soon, has pledged to hold the opening and closing ceremonies in Seoul and Pyongyang concurrently by using the South's pioneering IT technologies. The calculation was commissioned by multiple private institutions and it excludes Pyongyang's share, it said. The budget estimate largely includes the costs for holding 33 events during the 15-day world sports festival in the two capital cities of the divided Koreas. But it's likely the expenses will be much higher since the calculation is based on operating costs like ceremonies and stadium repairs and excludes infrastructure such as roads and railways.